Alyona is the voice you hear in your head, the one you always try to quiet. The one that says things you wouldn’t even dare to think. Alyona doesn’t fit in this world. Reality bores her so she makes things up. This is the first book about the artist’s best-known character, a girl free of any limits or complexes. 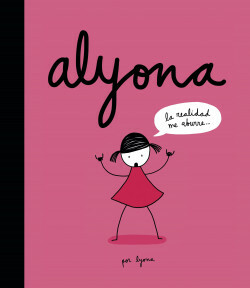 Lyona returns, this time to introduce us to her most endearing and mischievous character: Alyona.